Predicted to be the fastest-growing discipline within public accounting, fraud and forensic accounting analyzes and discovers fraud within an organization if it exists. With a Certified Fraud Examiner on staff, Catanese Group can analyze the effectiveness of your internal controls and make recommendations on how the organization’s assets can be protected against fraud and loss of value. If fraud is suspected, our staff can perform a thorough investigation by conducting interviews, reviewing the organization’s books and bank records, and ready the necessary documentation or file insurance claims to support litigation. In addition to fraud examination within an organization after it has already occurred, Catanese Group also offers consulting and program implementation in fraud prevention for organizations. A fraud prevention program minimizes the likelihood of fraud and makes an organization more adept at detecting any fraudulent activity. 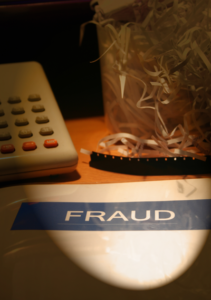 Preventing fraud is more timely and cost efficient than examining and controlling the damage already done to a company’s finances and reputation. The most essential aspect of a fraud prevention plan is a thorough control system within an organization. Our fraud experts will create and implement an effective control environment (or moral tone of an organization), assess the risk of fraud within a firm, and create control activities (policies and procedures) that will ultimately enforce the new fraud prevention directives.